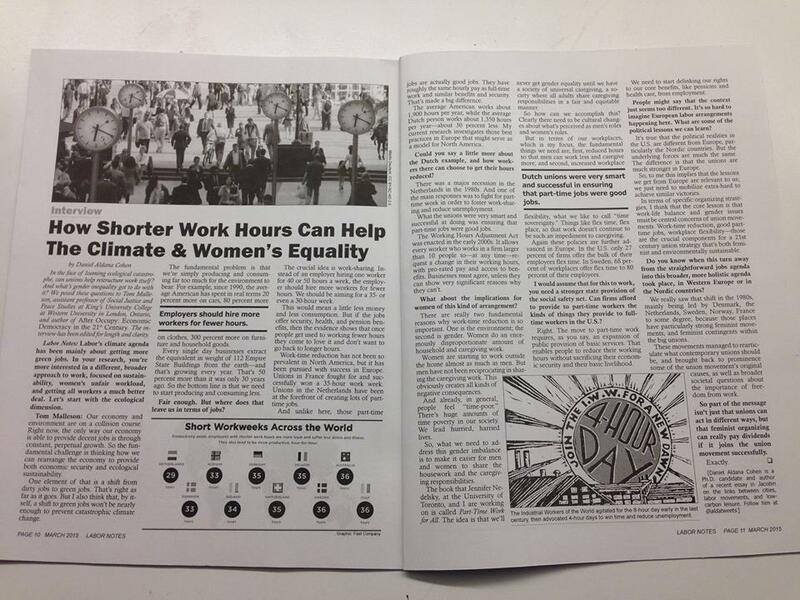 From the March 2015 print edition of Labor Notes. We should all be able to work fewer hours. Shortening work hours, while raising the salary floor and instituting transparent worker-driven scheduling, could free up time for us to spend with loved ones in low-carbon leisure, while establishing the conditions for an equal division of care work. This isn’t an idle fantasy. 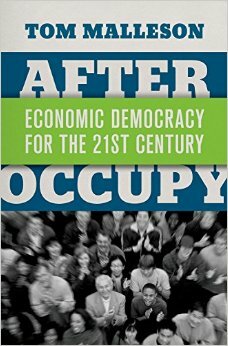 Elements of the European labor movement have shown that steps can be taken in this direction even under capitalism. Most exciting to me is a Dutch labor law that lets most workers unilaterally reduce their hours, while keeping pro-rated wages and benefits. This isn’t just about your average work day. It also implies a different idea of what a green job could be. More on that in a minute. The crucial idea is work-sharing. Instead of an employer hiring one worker for 40 or 50 hours a week, the employer should hire more workers for fewer hours. We should be aiming for a 35- or even a 30-hour week. This would mean a little less money and less consumption. But if the jobs offer security, health, and pension benefits, then the evidence shows that once people get used to working fewer hours they come to love it and don’t want to go back to longer hours. Now, obviously there’s no way to persuade hundreds of millions of workers to work shorter hours and to reduce their consumption without building out new infrastructures—social and material—that make really rewarding, inexpensive free time possible. In my essay Seize the Hamptons, I lay out one such vision. I focus on how we might urbanize low-carbon leisure by improving the quality of life in densifying suburbs through expansive cultural amenities, and by expanding workers and poor peoples’ access to the wild via regional infrastructures for mass vacationing. There’s also the obvious issue that in the US today, part-time work is a catastrophe, not a solution. Pay is usually terrible. And as Michelle Chen has recently made clear, so-called “flexible scheduling” is a hellish practice that is destroying working people’s lives. In our Labor Notes interview, Tom talks about the importance of firms conceding “time sovereignty” to workers. That is, workers decide when they work. As the planet’s carbon budget plummets, though, we need steps we can take right now. Waiting for each star to align is a luxury we don’t have. I don’t see a point in trying to organize to legally shorten everyone’s work week. That won’t fly in North America right now. (But note, unions all over Brazil are campaigning for a shorter work week, including a 30-hour work week for nurses; time isn’t a luxury just for the wealthy.) But we can aspire, jurisdiction by jurisdiction, to mandate the option of shorter hours, without sacrificing health and other benefits, without cutting the rate of hourly pay, and without granting bosses tyrannical powers to schedule working hours at short notice and without workers’ consent. Maybe any government subsidized “green jobs” should offer workers the option to reduce hours and pay, but keep benefits. Or vice versa (if the worker’s partner, say, has benefits that cover the whole family). Maybe unions could experiment with such options in labor contracts. This kinds of tradeoff is not, by any means, an alternative to the bigger fights for universal healthcare, fully funded public pensions, and other forms of social security. But I do think it’s worth thinking creatively about what a “green job” actually consists of. The bigger and more creative the conversation, the bigger and more creative our demands and coalitions will become. Decent part-time work isn’t, on its own, a silver bullet for a fossil fuel-powered capitalism that is inherently anti-democratic, dangerous to human survival, and profoundly unjust. But in the present context, it’s what André Gorz called a non-reformist reform, one formulated “in view of what should be made possible in terms of human needs.” As the planet changes, so do our needs, and so must our demands. But revolutionary beginnings only appear to come from nowhere. 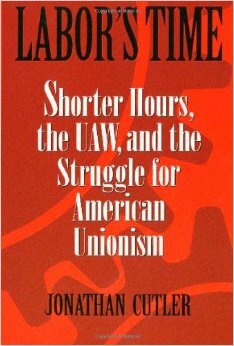 We also need to re-master the history of earlier struggles within U.S. unions for shorter work weeks. A green economy will only work if we democratize the workplace.